DETROIT — The Michigan Council of Women in Technology Foundation is seeking nominations for its second annual Woman of the Year in Technology award. The nonprofit organization will recognize a woman in Michigan leading or driving change for women in information technology careers or fields of study. To qualify, the nominee must be a woman in Michigan who embodies MCWT’s mission of inspiring and growing women in technology. This person leads or has led significant positive change for women working, teaching or studying IT and computer-related careers and fields of study. Last year, MCWT named Nancy Benovich Gilby its Woman of the Year. Recipients do not need to be members of MCWT to win. Nomination forms are available on the nonprofit’s website; all submissions must be emailed to awards@mcwt.org by Sept. 20, 2017. There is no fee to submit. Nominations may be made by the nominee or by someone else on their behalf. MCWT will present the 2017 award during a ceremony at its Roaring 20s Gala on Oct. 28. For more information about MCWT’s vision to make Michigan the No. 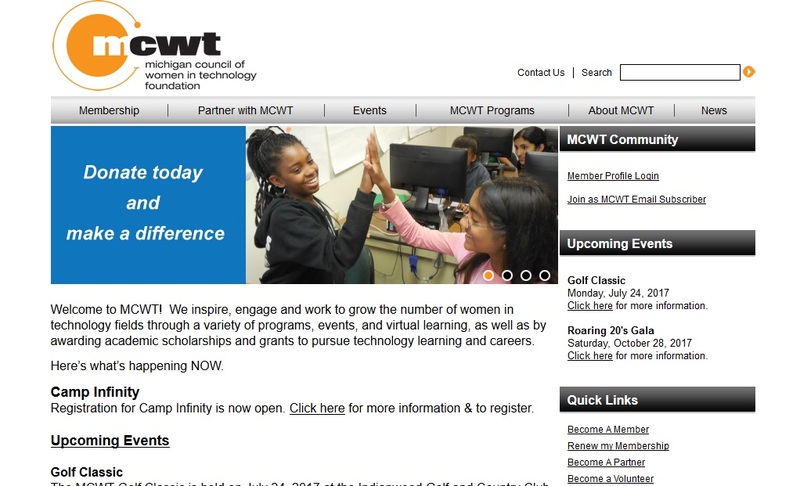 1 state for women in technology, visit mcwt.org. The Michigan Council of Women in Technology Foundation supports Michigan’s female IT workforce, students, corporate partners, schools and the overall community with programming, scholarships, networking, learning, mentoring, and technology experiences. Find more information at www.mcwt.org.